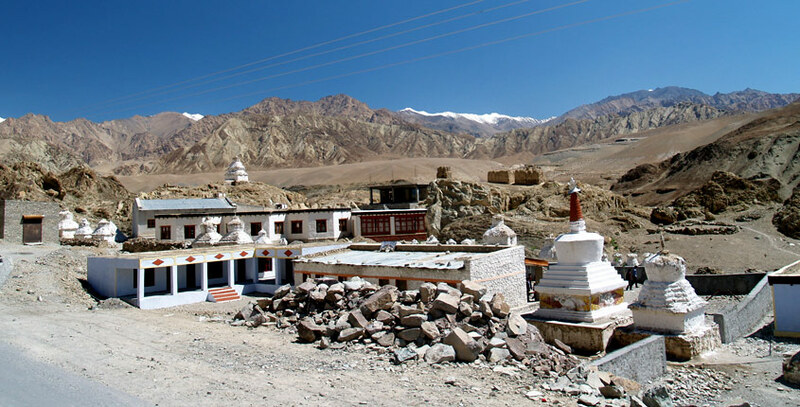 Alchi Choskor monastery is located approximately 69 kms towards the Western side of the main city of Leh. It is popular in the form of largest of all the gompas built that were built by Lotsava Rinchen Zangpo. He had ordered four families to take care of Choskor, as there was no monastic communities present during the 15th century. It was taken over by the Lekir Monastery and is under them today also. The monastery complex consists of comprises of Assembly Hall (Dukhang), Sumtsek Lhakhang, 3-storied temple, the Lhakhang Soma (New Temple), the Munjushri Temple (Jamyang Lhakhang), Translator Temple (Lotsava Lhakhang) and Kangur Lhakhang.